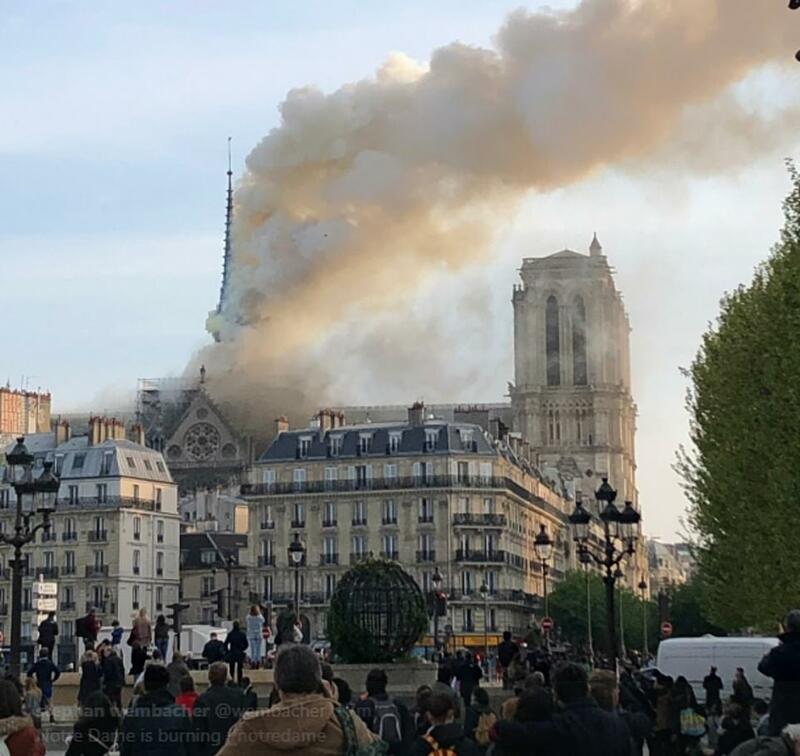 The spire and part of the roof of Paris’s famous Notre Dame cathedral has collapsed after a massive blaze broke out at the cathedral earlier this evening. 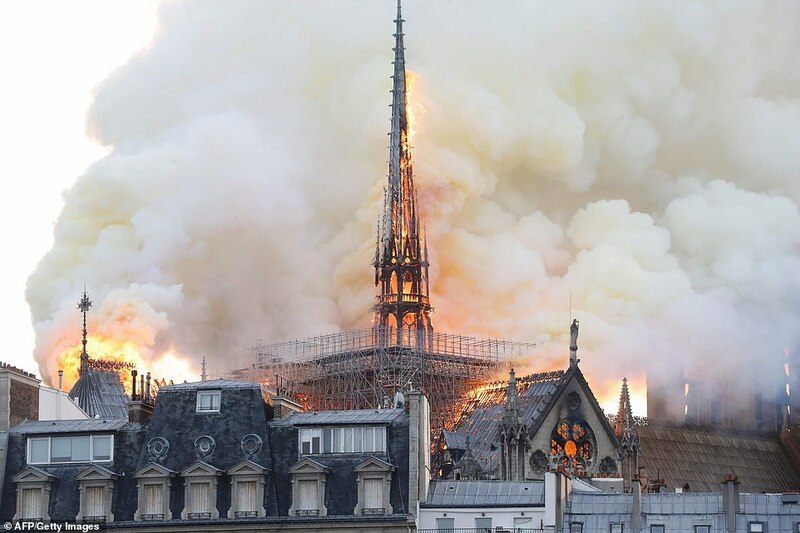 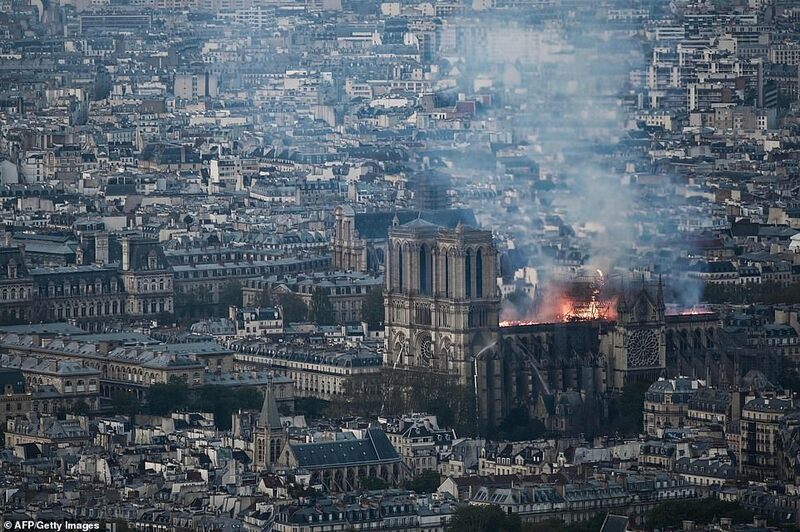 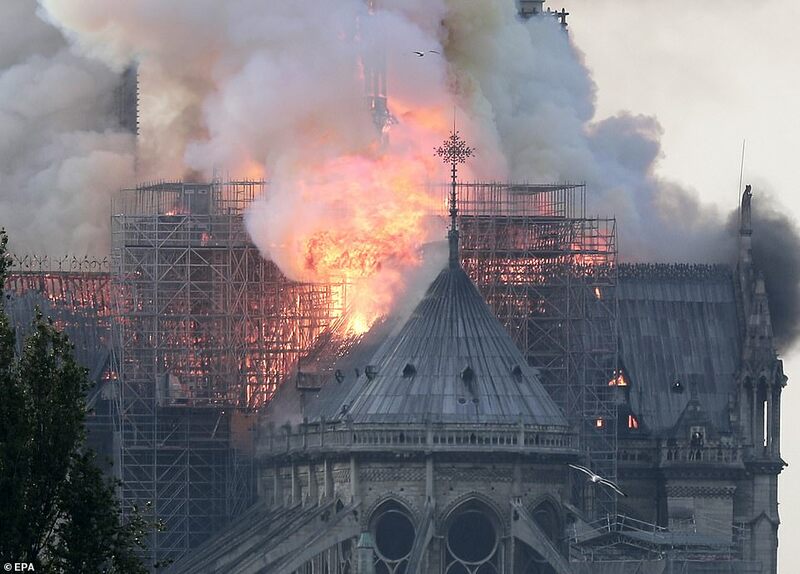 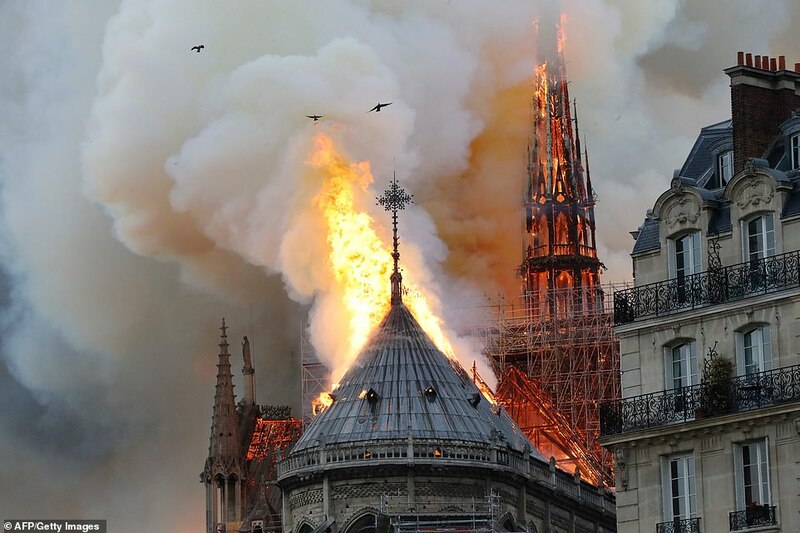 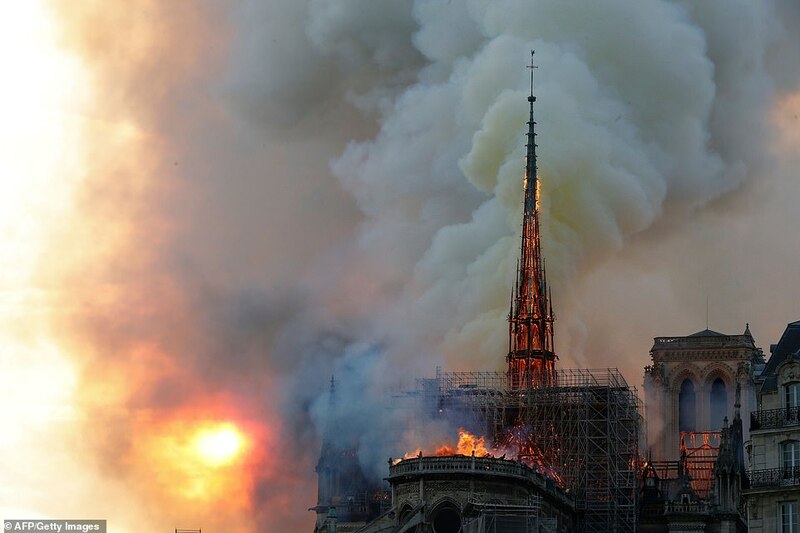 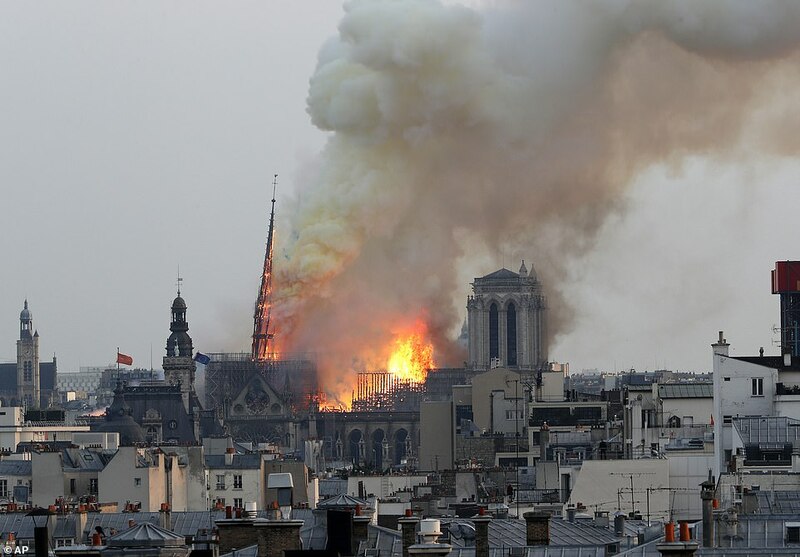 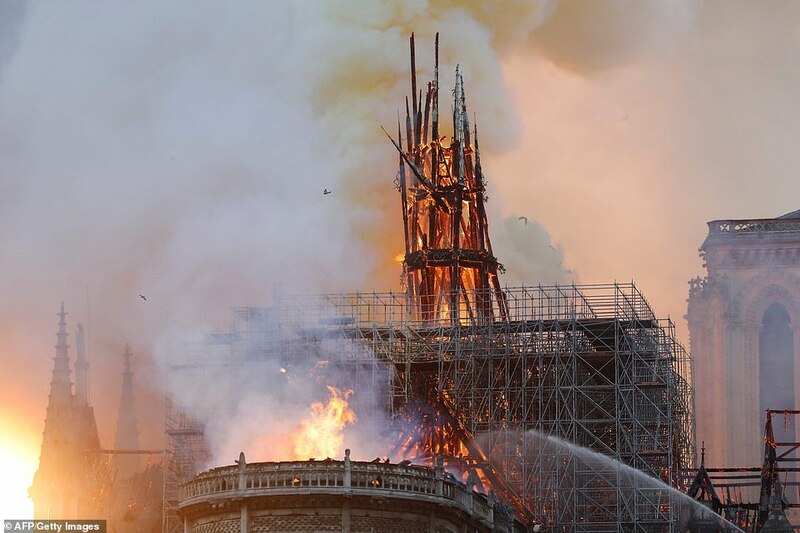 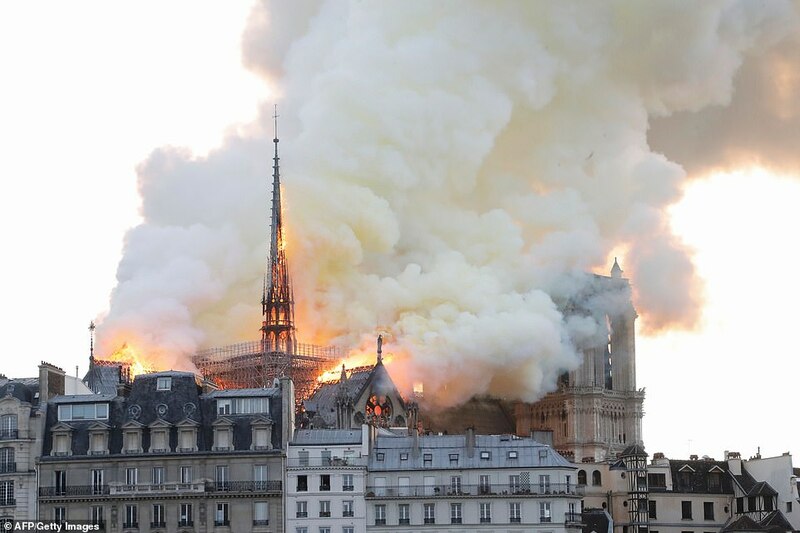 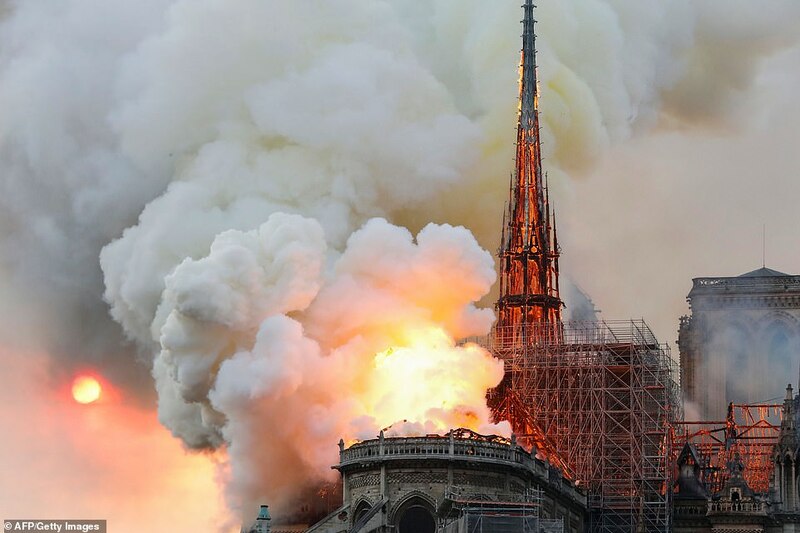 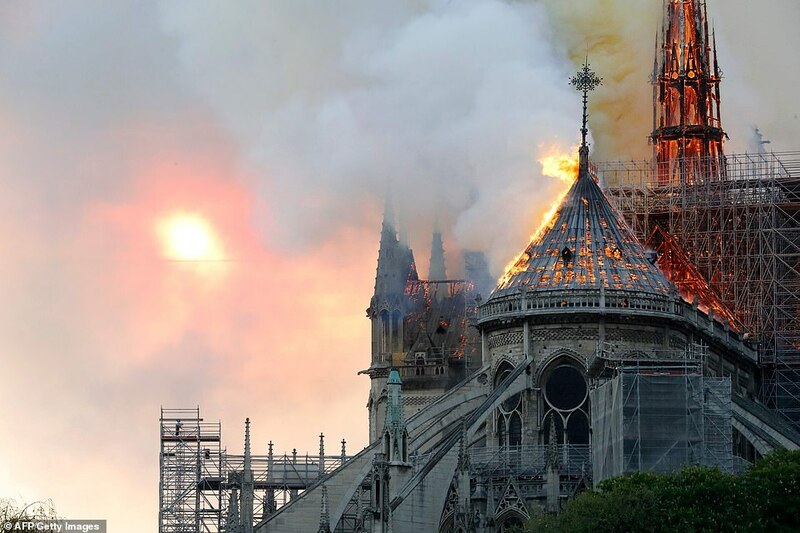 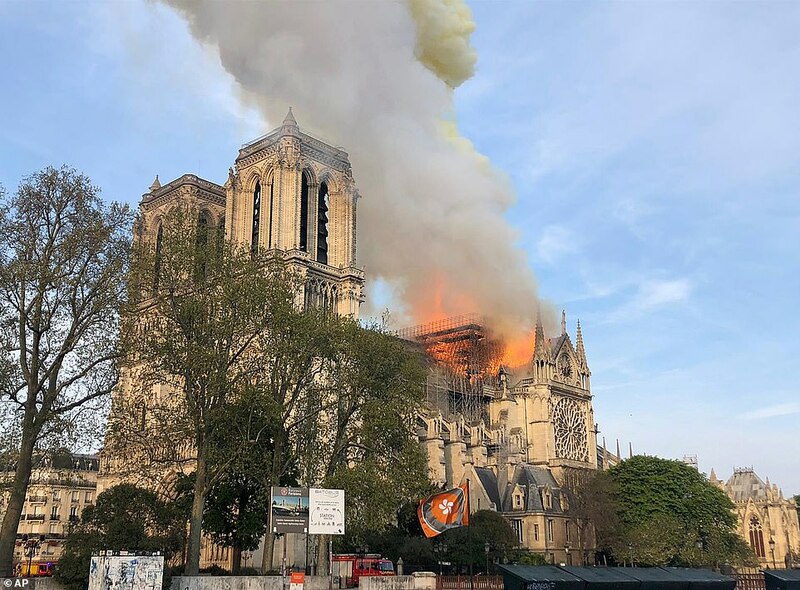 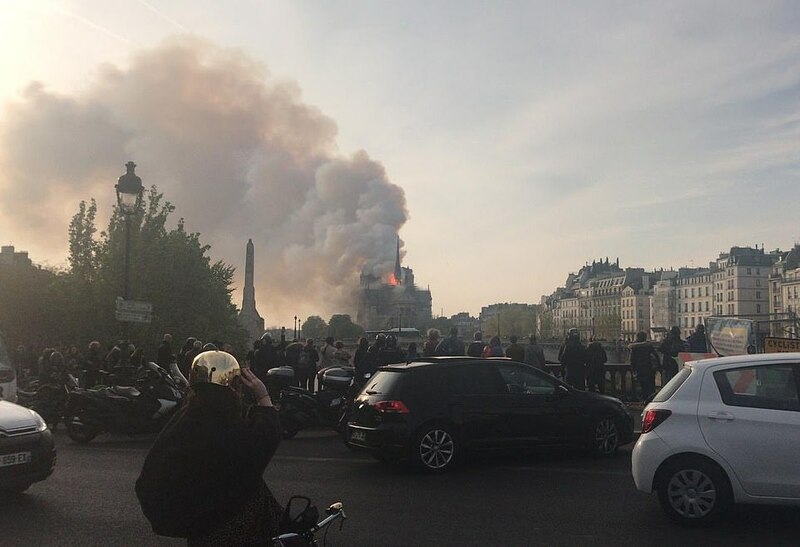 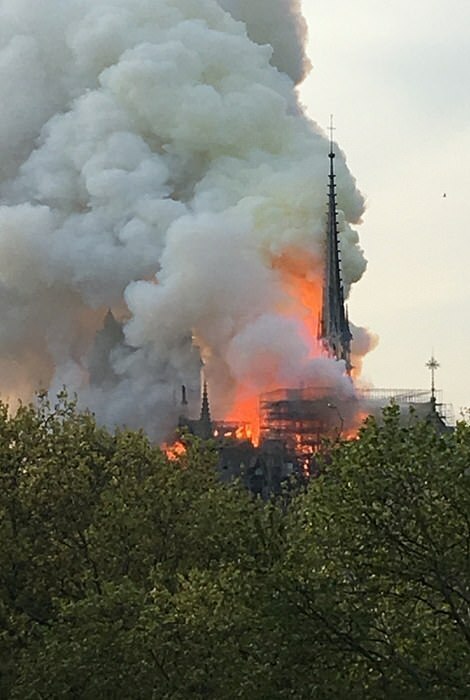 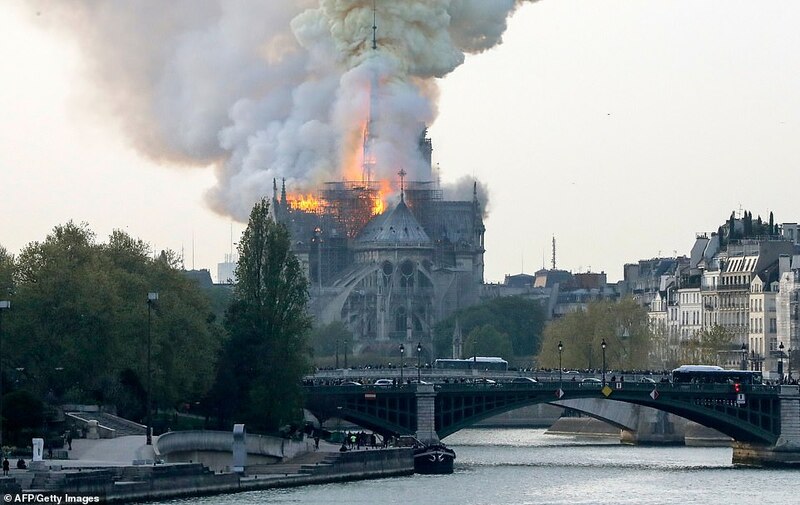 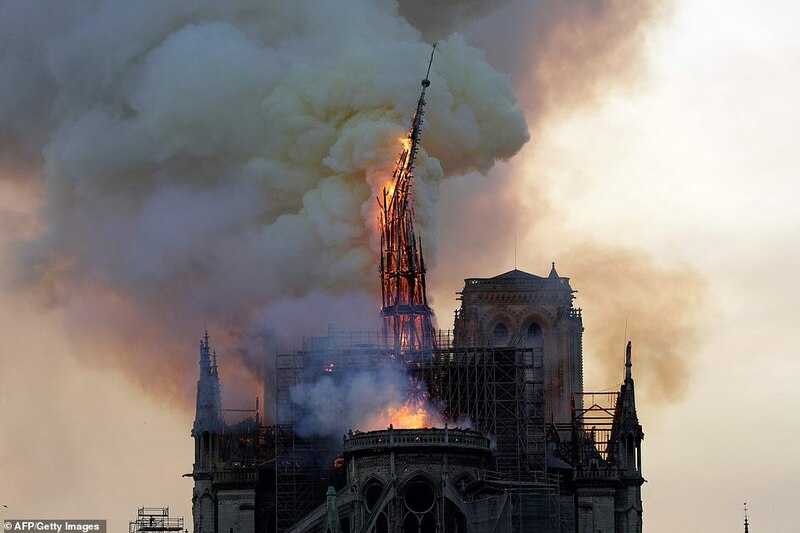 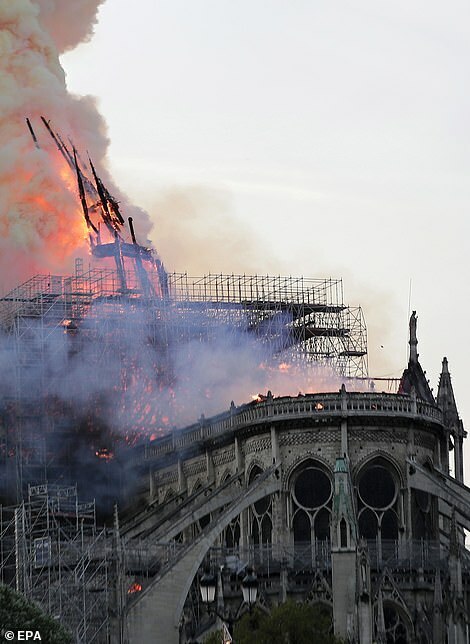 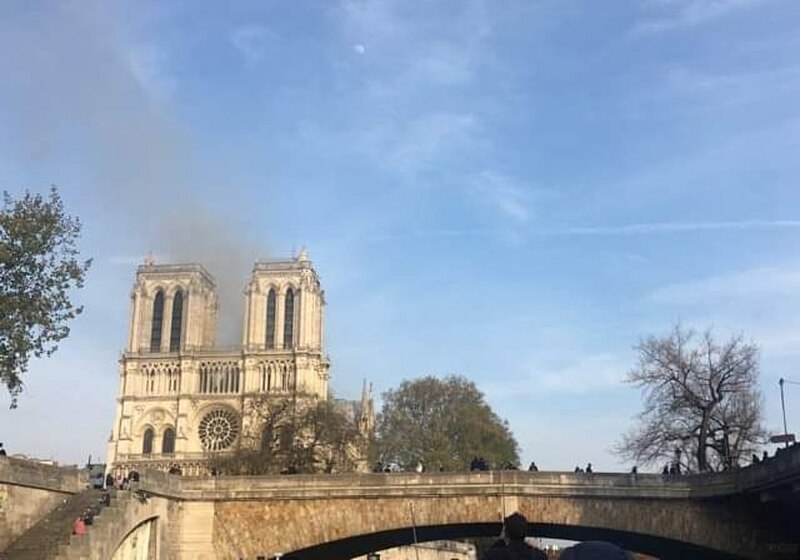 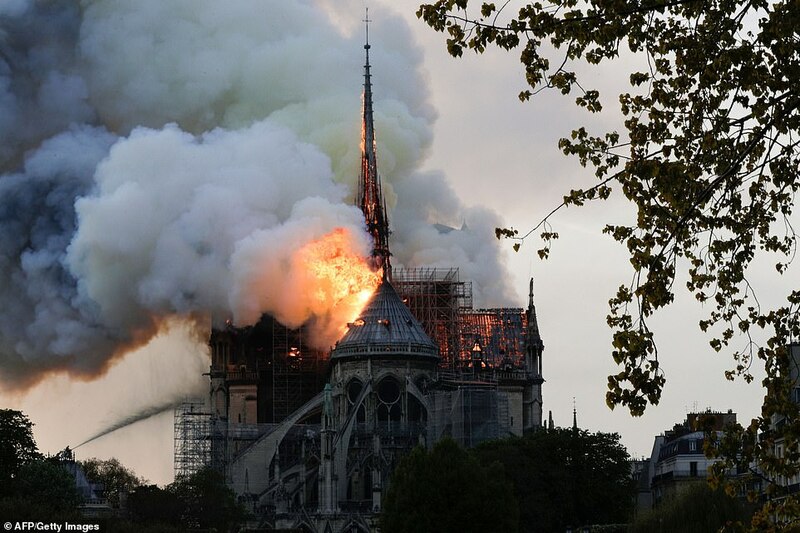 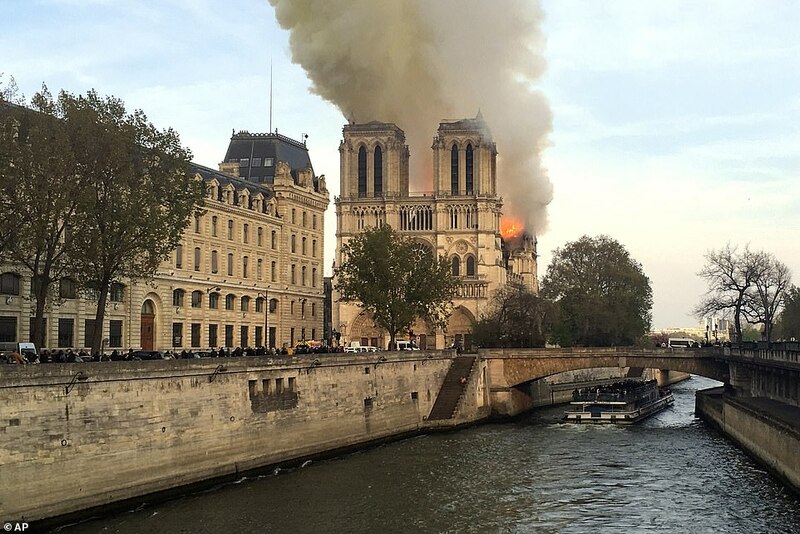 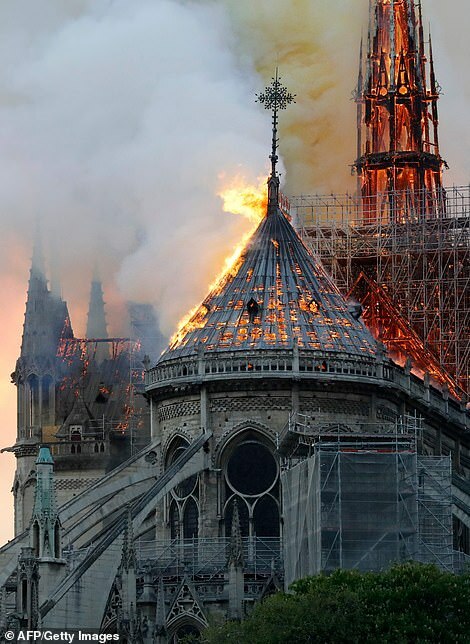 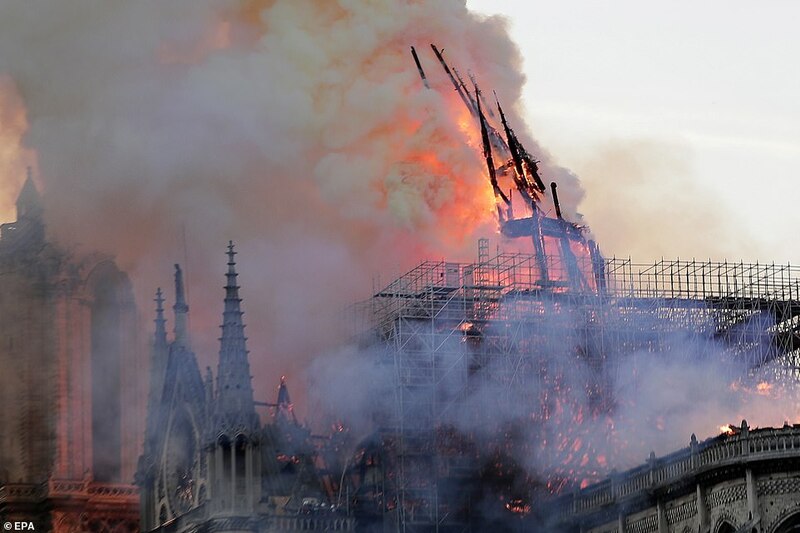 Officials in Paris said the fire could be linked to restoration works as the peak of the church is currently undergoing a 6 million-euro ($ 6.8 million) renovation project. 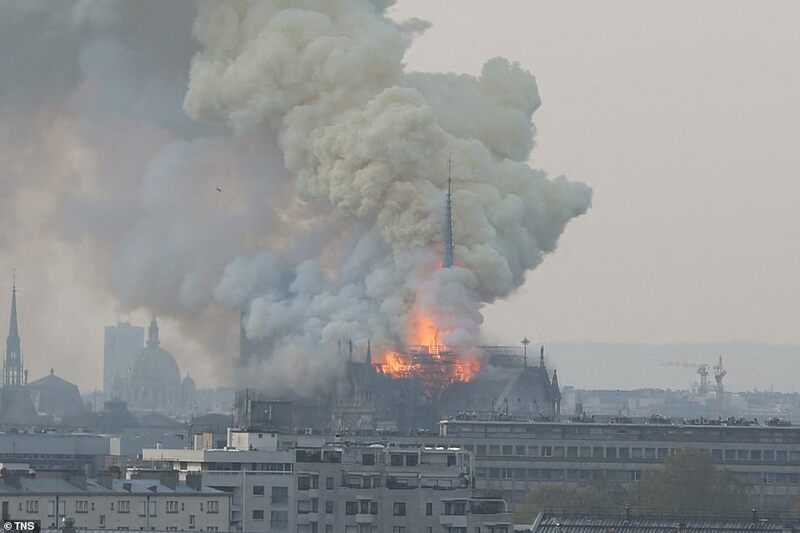 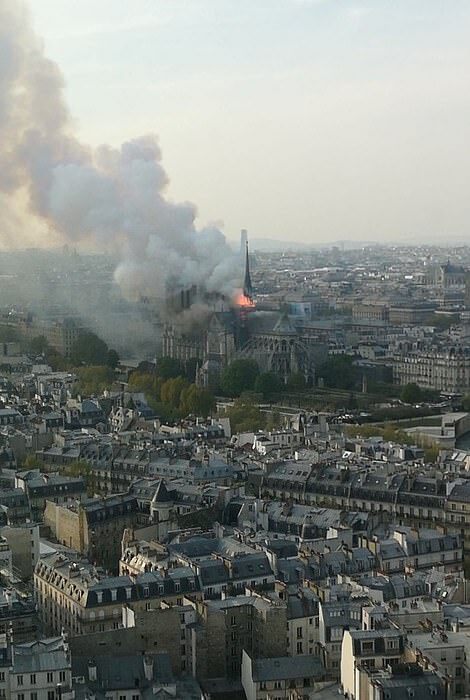 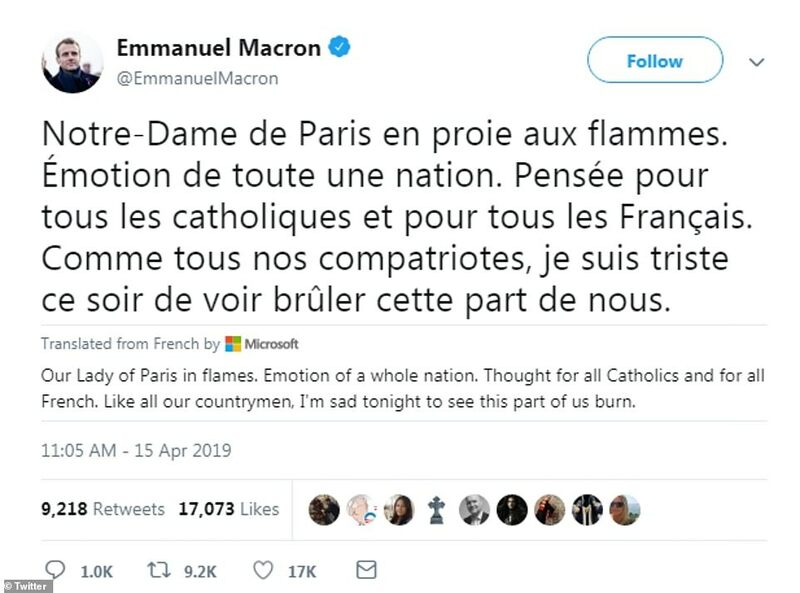 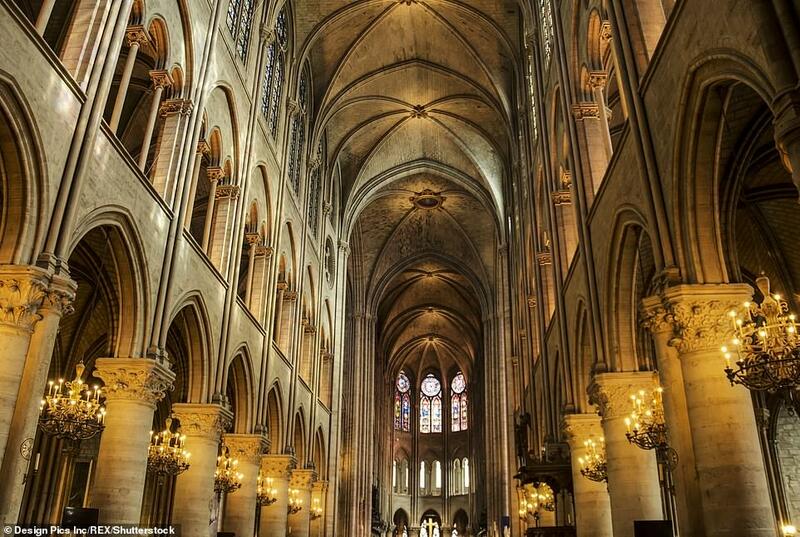 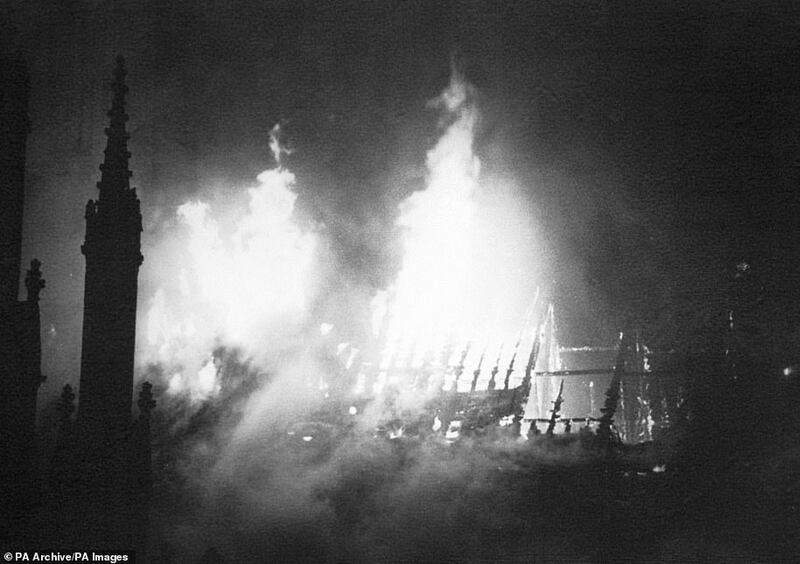 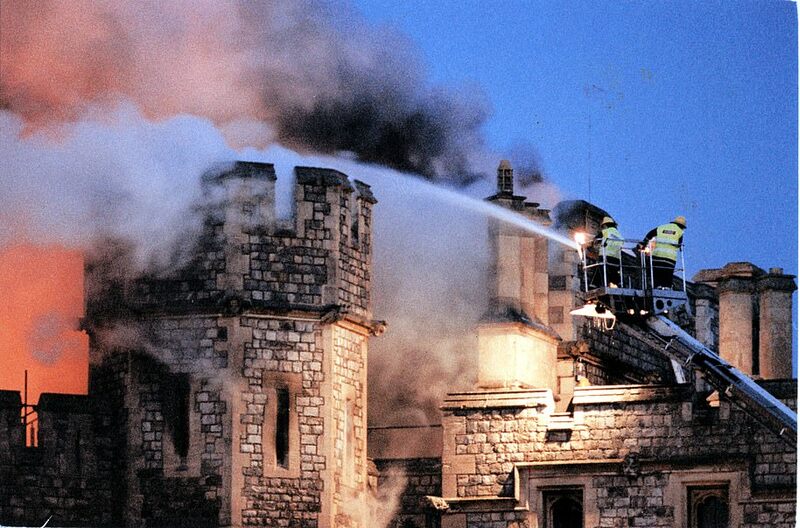 Cathedral spokesman Andre Finot told Le Monde: ‘Everything is burning. 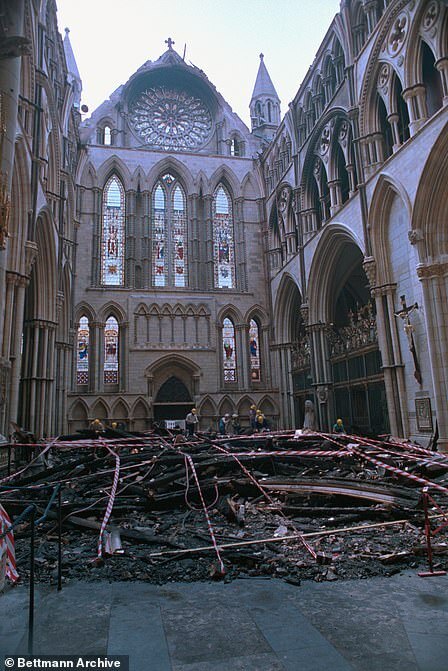 The frame – which dates to the 19th century on one side and the 13th century on the other – there will be nothing left. 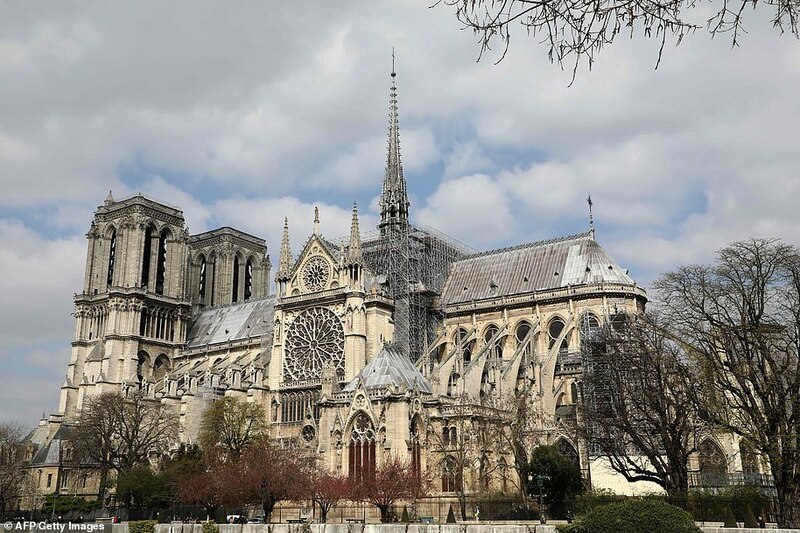 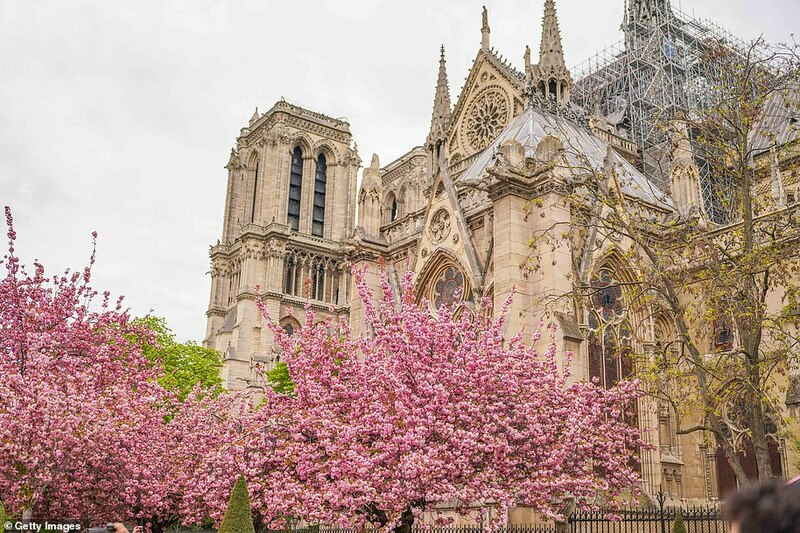 Whether intrigued by tales of Quasimodo or on a pilgrimage to see one of the thorns said to have rested on Jesus’ head on the Cross, more than 13 million people each year flock to see Europe’s most popular historic monument. 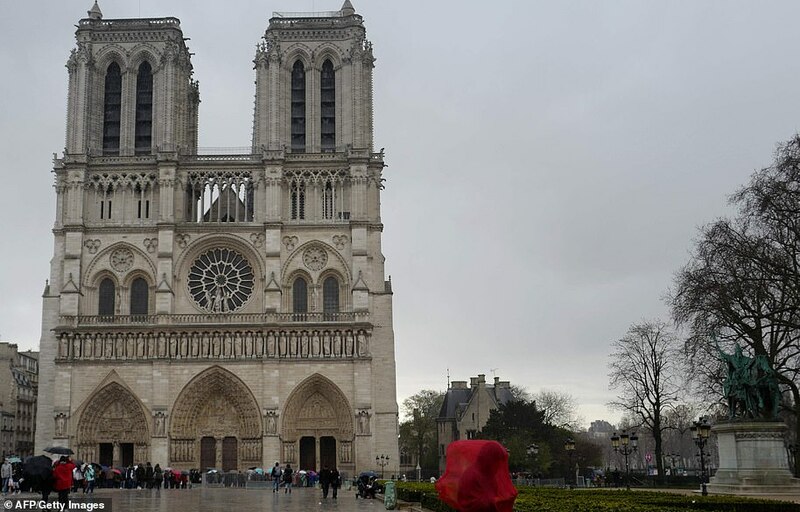 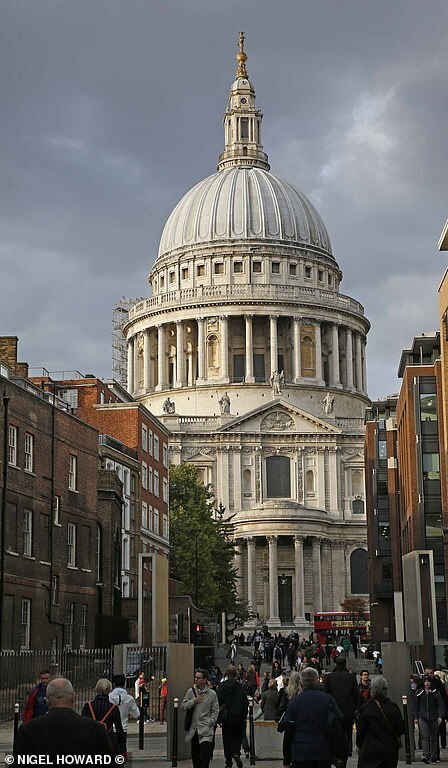 It is the seat of the Archdiocese of Paris and contains the cathedra (bishop’s throne) – a symbol of the bishop’s teaching authority in the Catholic Church.